The adventure begins in Dolly's Fleet! 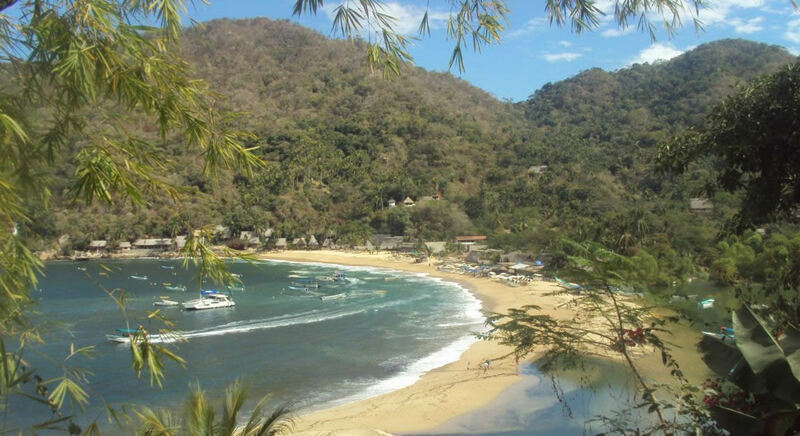 Within the tours you can watch dolphins and whales, bird watching, hiking, snorkeling, diving, trips to Las Animas, Quimixto, Yelapa, Los Arcos and Marietas Islands Majahuitas. Coexists with a lot of colorful fish and watch the wildlife that lurk in this sea. During the tour you can meet, beaches and most picturesque villages, with many activities and attractions, where you can go for a walk in the jungle, visit one of the waterfalls and the famous "Cola de Caballo" or just a break on the beach. If you’ve never visited the ‘Mariettas’ you wont belive the beauty of these islands. A magical “Eden” located nexto to Quimixto. The natural reef is home to a variety of marine life. A small town with 1,500 inhabitants which feels like an island in the South Pacific. Far from the hustle and bustle of town, you’ll find a sea of tranquility at beaches of Quimixto. A place of biodiversity and natural beauty. Los Arcos was declared a ‘protected zone’ in 1975. Golden beaches with clear blue water. The shallow are ideal for swimming, snorkeling and diving. We offer services and sport fishing tours in Puerto Vallarta and Banderas Bay. All our services are custom, since we received the customer until they parted. Subscribe to our newsletter to receive promotions and discounts.